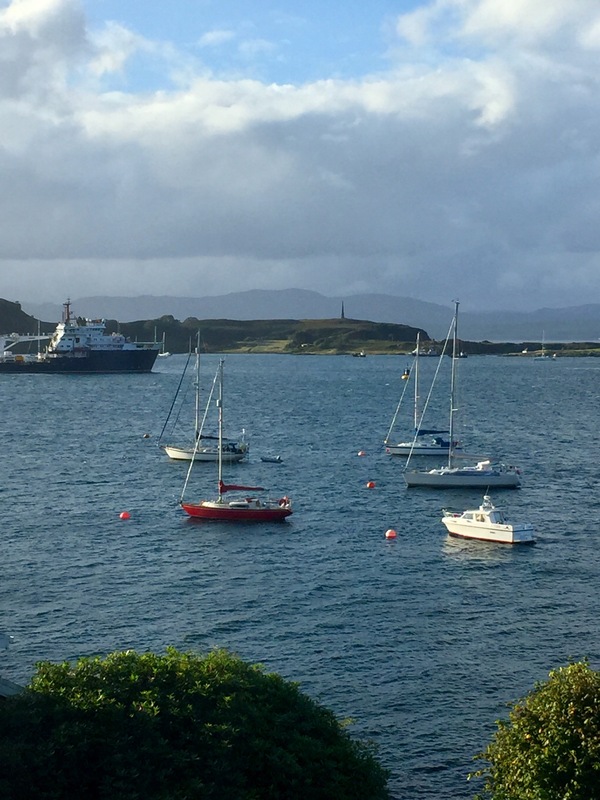 We arrived in Oban from the Glasgow airport without any of our luggage – another story. 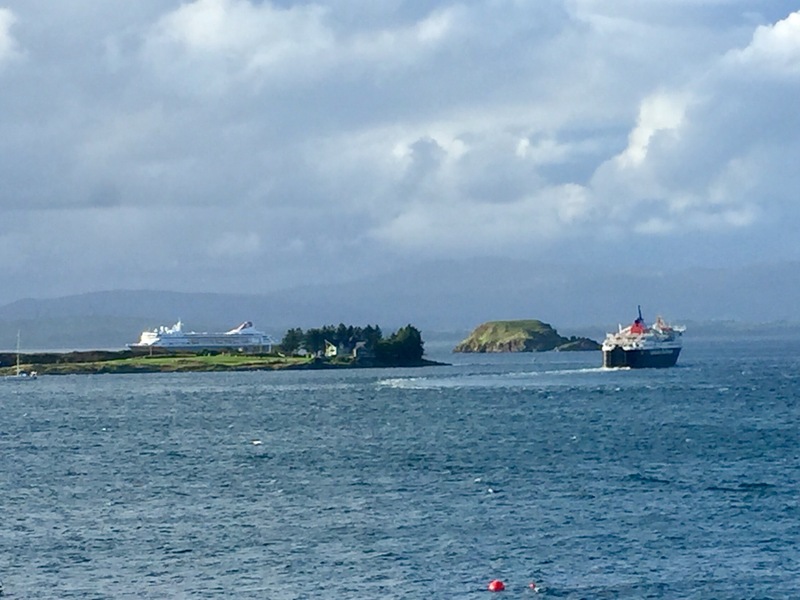 Here are views of the Oban harbor – it’s known as the gateway to the Western isles, the Islands of the Hebrides. The first view is from our window at the Manor House. 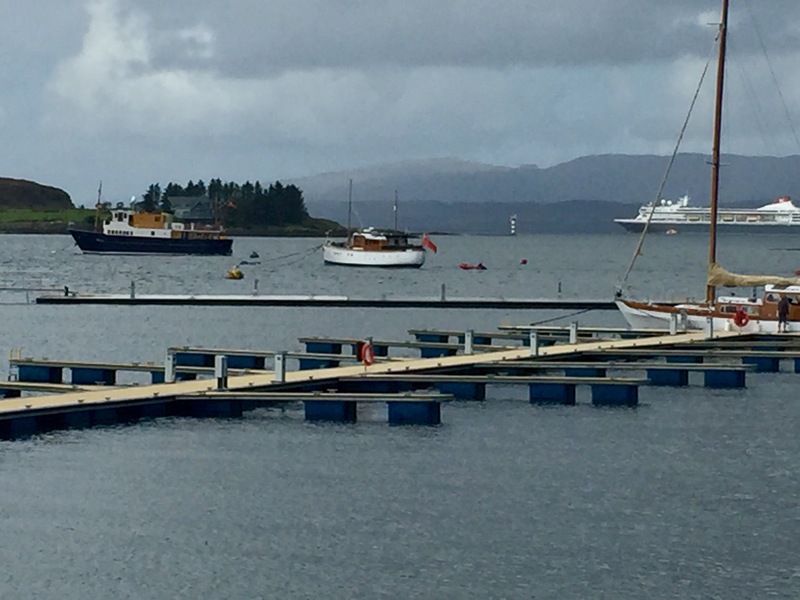 The boat at left is the ferry, the Caledonian MacBrayne, the one we take to the island of Mull. In the background of the other two is a big cruise ship. 06 Sep	This entry was published on September 6, 2017 at 7:02 pm and is filed under Uncategorized. Bookmark the permalink. Follow any comments here with the RSS feed for this post.